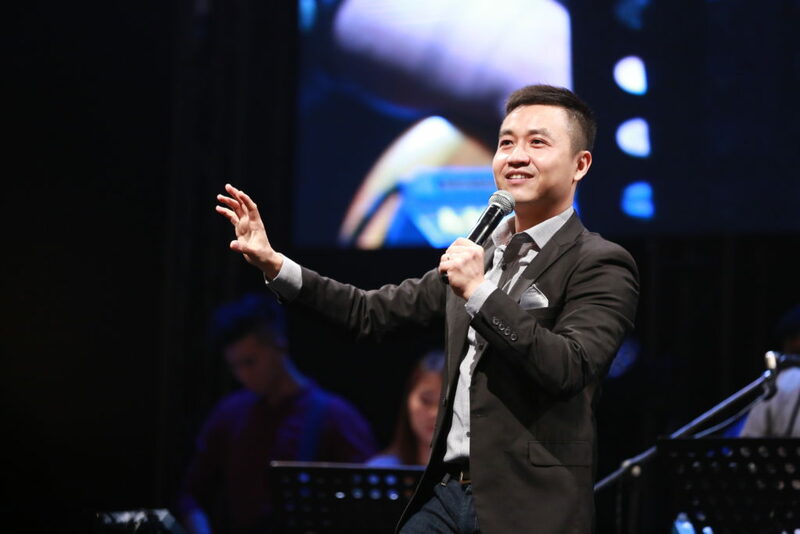 The multiple services last weekend (Sep 8 and 9) at City Harvest Church saw four pastors preaching on the different aspects of Kingdom Living. 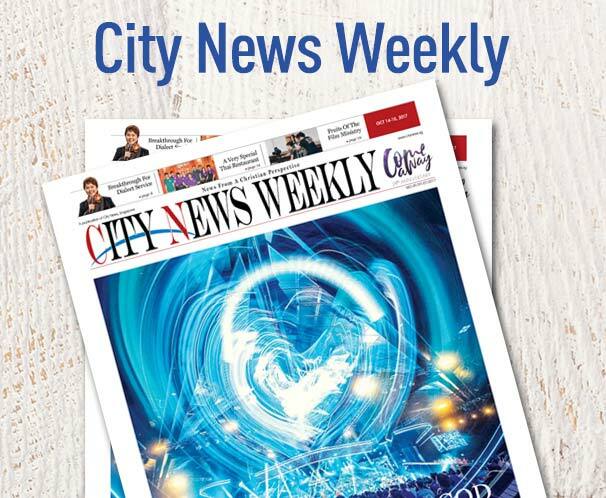 Last weekend, which coincided with the popular Comex 2018 exhibition that occupied City Harvest Church’s main auditorium at Suntec Convention Centre, the church held four services at Hall 606, with four different preachers. 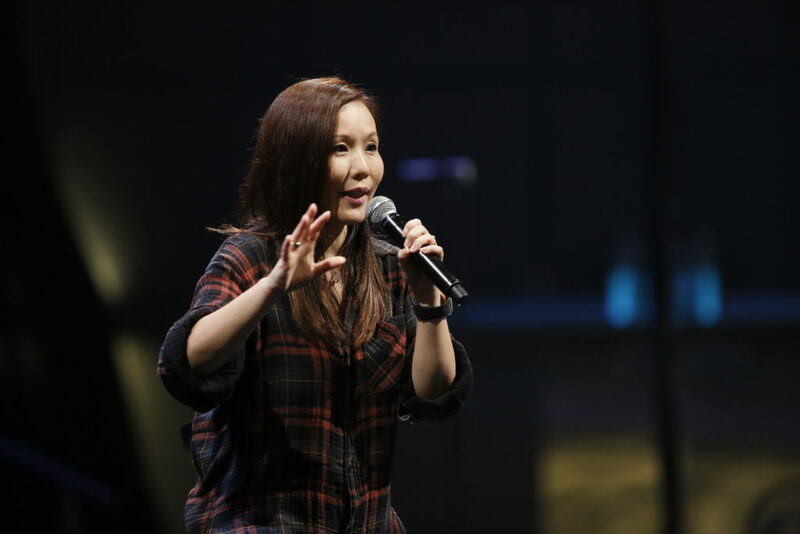 In the first service, CHC pastor Audrey Ng preached a message on finding one’s self-worth in God. Ng began the service by reminding the congregation about the importance of being hungry and desperate for God’s presence. She declared that those who hunger and thirst for God will surely be filled. The pastor gave examples of men in the Bible who had a deep hunger for an encounter with God: David, whose hunger for the Lord was likened to a deer panting for water; Paul, who put aside the things of the past and pressed on for the things of the Lord; and Jesus, who at the age of 12, lingered behind in Jerusalem to listen to the Word of God. “After each encounter, what is next? Every encounter with Jesus must lead you to a revelation of who you are in Him,” Ng stressed. As a pastor and also head of CHC’s Liberty Ministry, Ng shared that most of the people she counseled had problems that stemmed from their lack of knowledge about their identity in Christ. She urged the congregation to stop comparing themselves with others because comparing always leads to coveting. In Matthew 13:45-46, the traditional interpretation is that the pearl represents the Kingdom of God. Another possible interpretation, however, is that the pearl represents the human soul. Using that interpretation, it would mean that, to God, one single soul is worth more than the whole world. Jacob had an encounter with God and did extraordinary things for Him. In the Bible, Jacob was disadvantaged from birth, as he was the younger twin and always had to catch up to his brother. Jacob was also a plain man, who had a bad relationship with his father. Despite all his shortcomings in life, God was still able to use him to do great things. “God doesn’t always use the wise, noble and mighty, because these things can sometimes be a source of pride. Instead, God uses weak, imperfect vessels. The Kingdom of God belongs to those who have encounters with God and have a revelation of who they are in Him,” said Ng, as she brought the message to a close. 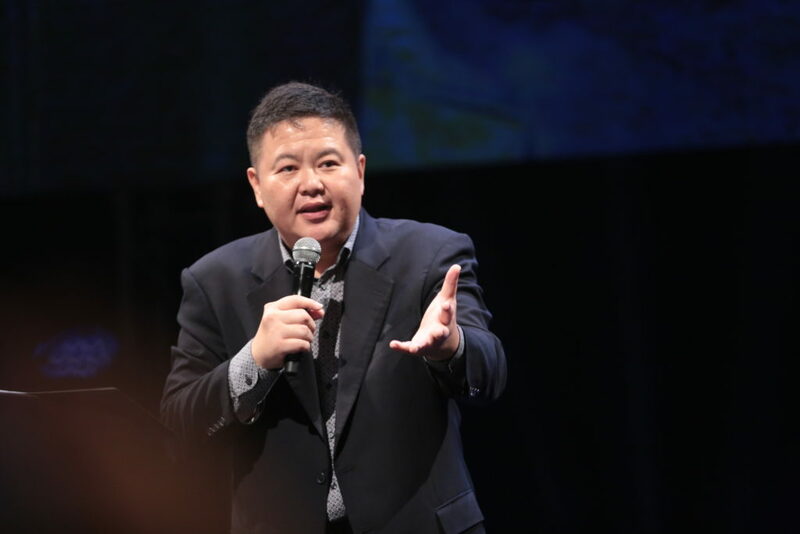 CHC pastor Choong Tsih-Ming preached on another aspect of the Kingdom of Heaven: the baptism of the Holy Spirit. The baptism of the Holy Spirit is often associated with speaking in tongues. But when Jesus first told His disciples about the Holy Spirit, He referred to it as “power from on high”. In Luke 24:49, Jesus told the disciples to “tarry in the city of Jerusalem until you are endued with power from on high.” And when they did, “they were all filled with the Holy Spirit and began to speak with other tongues, as the Spirit gave them utterance.” (Acts 2:4). “This is the demonstration of the power of God,” Choong explained. He went on to share that when a believer is baptized in the Holy Spirit, there is clear evidence of this. The believer will be “super-naturalized”. Reading Acts 3:1-7 where Peter healed a lame man at the gate of the temple, Choong said that miracles will follow a person baptized in the Holy Spirit. “Our hands are made to do unusual miracles, to bring provision to others,” he explained. Another piece of evidence that a believer is baptized in the Holy Spirit is that he becomes consumed by the love of God. Apostle Paul taught the Corinthian church to “eagerly pursue and seek to acquire love.” (1 Cor 14:1). These pieces of evidence, however, only show after a period of time. The initial evidence of being baptized in the Holy Spirit is speaking in tongues (Acts 2:4). “Why? Because only when we are in a continual state of prayer in the Holy Spirit, can we live out a consistent manifestation of the Spirit of God and His power,” explained the pastor. There are benefits when a believer speaks in tongues. Firstly, the believer is edified when he prays in tongues (Jude 20). Praying in the Spirit also helps believers expand their spirit man so that they can have access to knowledge and divine revelation. Praying in tongues also provokes, stirs up, changes and edifies the atmosphere. “God created the environment for us to live in, but we create the atmosphere for God to move through,” Choong taught. To demonstrate this, the pastor got the musicians to play music. “The music during praise and worship creates the environment, but it’s our prayers that change the atmosphere,” Choong said. In closing, the pastor taught that to receive the Holy Spirit, a person must be thirsty for the Spirit. He must come to Jesus, yield to the Spirit and release the flow through his mouth by speaking. With that, he led the church into a time of praying in the Spirit. 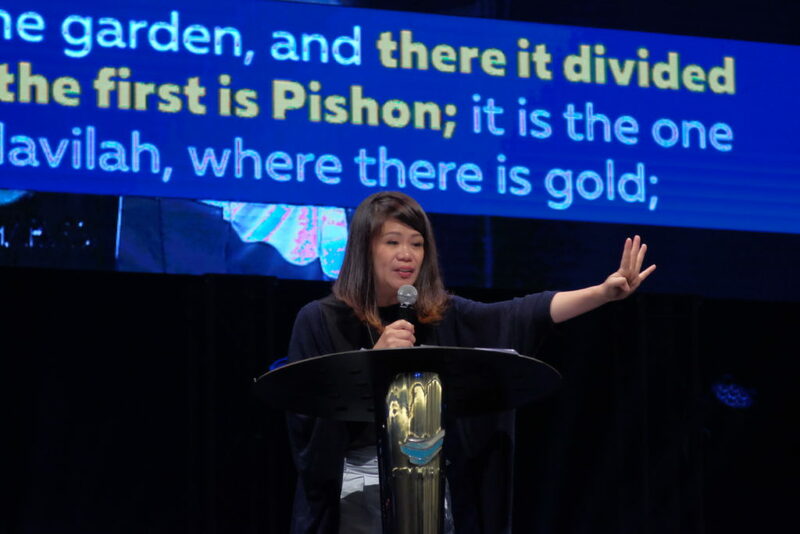 Head of Harvest Kidz and the pastor overseeing the JAMs, Dialect and Nursery Ministries, Eileen Toh started her sermon by sharing a revelation that she received from a recent all-night prayer meeting at Jurong West. She felt that God put these words in her heart: “This is only the beginning”. “The beginning can be ‘violent’,” she said. Sharing from Acts 2:1-4, Toh explained how the beginning of the outpouring of the Holy Spirit can be impactful and “violent”. That is why many people put too much focus on the beginning and fail to recognize that the importance of what they do next. In Genesis, God set up a river in the Garden of Eden and from that river, four rivers sprung forth (Genesis 2:10-11, 13-14). Toh explained that each of the four rivers has a Hebrew name that symbolizes the effect of God’s presence. Pishon stands for “spreading and increasing”, and it means that the arrival of the presence of God should be followed by the spreading and increasing of His love. The next river is Gihon, which means “overflowing.” With the arrival of the presence of God, there will be an overflowing of blessing. The third river is Tigris, which symbolizes the fast work that God intends to do in a believer’s life. And the Euphrates River symbolizes fruitfulness that will abound. “What happens when [you come to] a river? You need to jump in!” the pastor said, giving the congregation three steps to encountering the river. Secondly, the river needs to flow through the believer. Toh explained that the blessing has to be passed from one person to the next, and implored the congregation not to be a reservoir, retaining water and not allowing it to flow from one place to another. Thirdly, the river maintains the believer. Toh explained that to maintain means to enable to continue and to keep going. While the initial outpouring of the Spirit is great, one needs to maintain one’s life in the Spirit because the Spirit will sustain us. The pastor then explained that to maintain one’s life in the Spirit, one needs to read the Word of God daily, and maintain a pure lifestyle. “Never take it for granted. Always maintain your purity,” she emphasized. The pastor then shared her personal experience of growing up in the Lord. She had seven other siblings and had limited space in her house. She was the only Christian in her family, so she had to go to the toilet to pray. Eventually, all her siblings got married and she had the room to herself to worship God freely. When her child came along, she found once again that she had limited time. However, she reminded herself that she could not let her child become her priority–God still has to come first. Thus, she set the alarm to wake herself up in the wee hours to pray, to maintain the Spirit within her. Toh teared when sharing her personal experience, and it was clear that many people in the congregation could relate to her story. She ended the service reminding the church to maintain the flow of the river of the Holy Spirit in their lives. In his sermon, CHC pastor Jeremy Choy reminded the church of the importance of partnering with the Holy Spirit. He shared candidly about his experience during a recent CHC staff study trip to Bethel Church in Redding, California. He found himself challenged by the church’s hunger for the supernatural because it was an area that he wished for more breakthroughs in in his own ministry. He found the key to his breakthrough in executive pastor Sun Ho’s recent messages on the Kingdom of God. Choy realized that the breakthroughs of forgiveness, salvation and prophecy can only occur through the act of the Holy—these are all the realities of the Kingdom of God that Ho had preached about. Choy told the church that the felt reality of God’s Kingdom cannot just be experienced over a weekend at church; it has to be experienced every day. Using John 1:32 as a reference, the pastor urged the church to bring the peace and joy they find in the church into their homes and workplaces. Quoting from RT Kendall’s book Holy Fire, Choy then went onto explain why the Holy Spirit has been referred to as the [turtle] dove. He outlined the many similarities between them: turtle doves never fight, they can’t stand loud noises, they are not territorial, they can’t be trained, they only have one mate for life and they are highly sensitive and very shy. “Apostle Paul warned us not to grieve or quench the Holy Spirit,” Choy said. Citing Ephesians 4:30-32, Choy spoke about how believers can grieve the Holy Spirit through their wrong attitudes to one another. He listed the wrong attitudes found in the Bible: bitterness, wrath and anger, clamor, evil speaking, and malice. “When we grieve the Holy Spirit, His presence can be diminished in our lives,” he said. Choy explained how a Christian can quench the Holy Spirit through his lack of faith with an example from Matthew 13:58. “We can quench the Holy Spirit through our lack of faith and hinder Him from doing what He can do in us. We quench Him when we put him in a box and limit Him,” Choy said. He ended the service reminding the people of two important Kingdom attitudes: the attitude of thanksgiving and the attitude of submitting to one another in the fear of God. “These are the attitudes we must have when we work with the Holy Spirit,” he concluded.